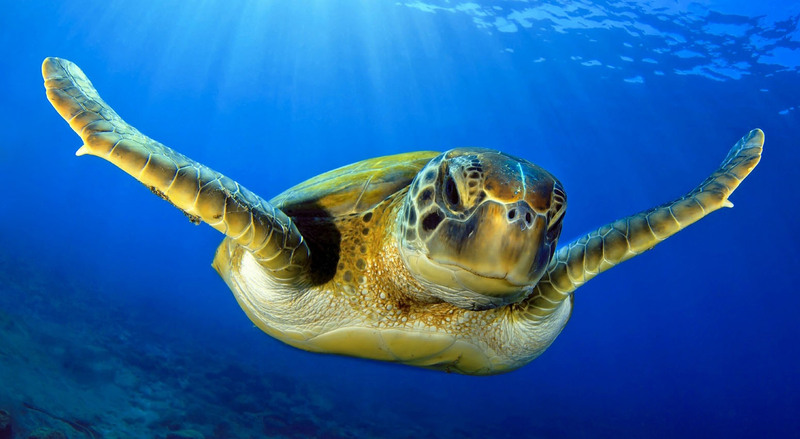 The largest of Sabah’s 7 marine parks, this wonderful park is an active breeding, spawning and growing marine park with a largevariety of marine life, corals, flora, fauna and wildlife. This unique and harmonious blend of nature and culture, and the vast marine biodiversity makes this an ideal destination for anyone of any age, as there is a wide array of activities to do, such as diving and snorkelling, hiking, bird watching, mountain climbing, visit or volunteer with wildlife sanctuaries, or just enjoy a romantic escape. Tun Sakaran is also known as ‘Semporna Islands Park’ and has 8 unique Islands and 2 large reef patches. How to get there: Tun Sakaran Marine Park is at the entrance to Darvel Bay, on the east coast of Sabah, and is 15 minutes by speedboat from the jetty in Semporna. For guests staying at any of the island resorts just outside the park, they can hop onto one of the organized daily boat trips which take 20 mins from Pom Pom or Mataking, and about one hours from Mabul island. Pulau Bohey Dulang – The 2nd largest island in the park, it has beautiful waterfalls, rockpools, jungles, and a 353m peak which is home to many species of birds and wildlife. 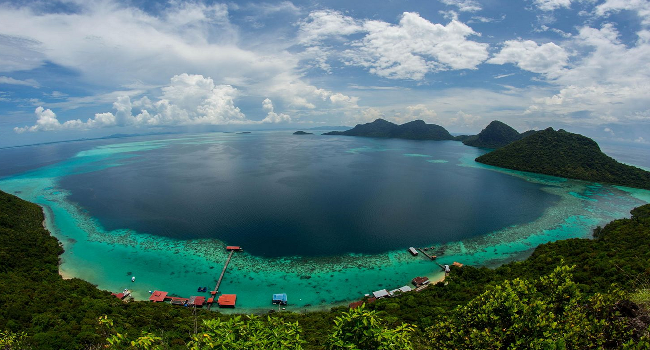 Pulau Mantabuan – A tiny volcanic island with some wonderful dive sites, it is only inhabited by a Malaysian army base, and has a thriving sea-gypsy community. Pulau Sibuan – This tiny coral island nicknamed ‘The Battleship’ has white sand beaches, coconut palms, pristine corals and a fantastic array of marine life, ideal for divers, snorkelers and picnicking day-trippers. Pulau Bodgaya – The largest island in the park at 796 ha, with a forest reserve, coastal mangroves and hills, it is surrounded by a crystal-clear lagoon. Pulau Maiga – A tiny pretty island, it is flat with white sandy beaches and coconut groves, and is encircled by an amazing 8 km long coral reef. Pulau Sebangkat – The closest island to Semporna with a large sandy beach and fantastic macro diving, it has a thriving seaweed cultivation group. Pulau Tetagan – Once a thriving place with a lively fishing community, this rocky island is now uninhabited, and used mainly as a tribal burial ground. 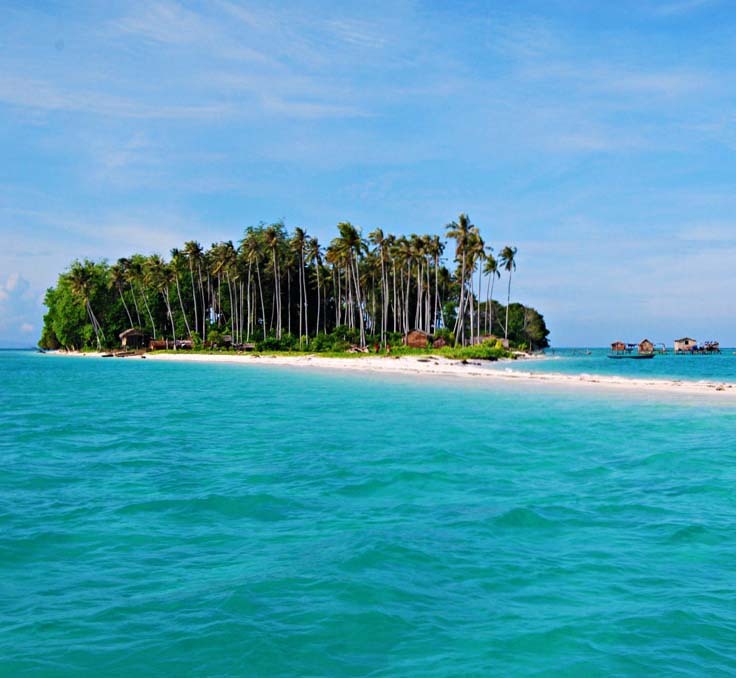 Pulau Selakan – A coral-limestone island with several beaches, this is the most populated island. Known for the sea weed cultivation, there is a village and a school for the children of the nomadic sea-gypsy community. Church Reef – A deep wall dive with a sandy bottom full of corals, sea fans and giant sponges, it is an excellent muck and macro diving site, with lots of Pygmy seahorses, mandarin fish, eels, eagle rays, etc. Kapikan Reef – Also known as Lonely Reef, this wide, shallow reef is about 7km long and has a spectacular coral garden including some rare black corals. You could spot turtles, pufferfish, crocodile fish and sting rays here. 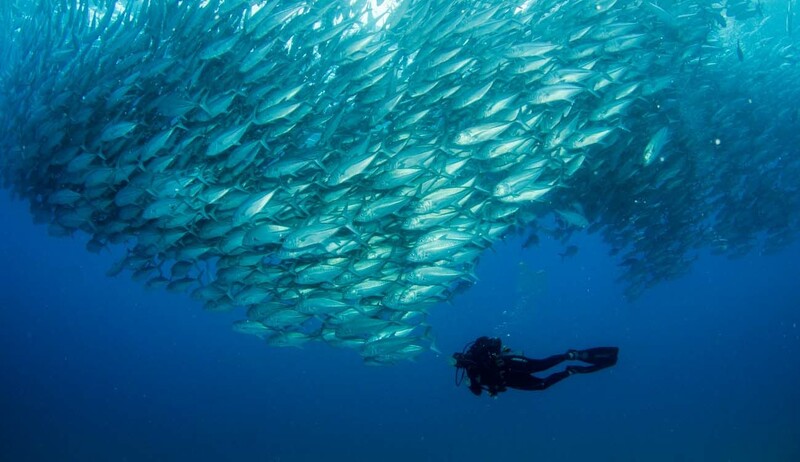 Scuba diving and snorkelling – With over 21 dive sites and large reefs to explore, the region has several experienced PADI dive centres that organise a wide array of snorkelling, swimming and diving trips, as well as certification courses for every level of diving from beginners and advanced to dive master. Some also do specialised dive courses such as emergency search and rescue. 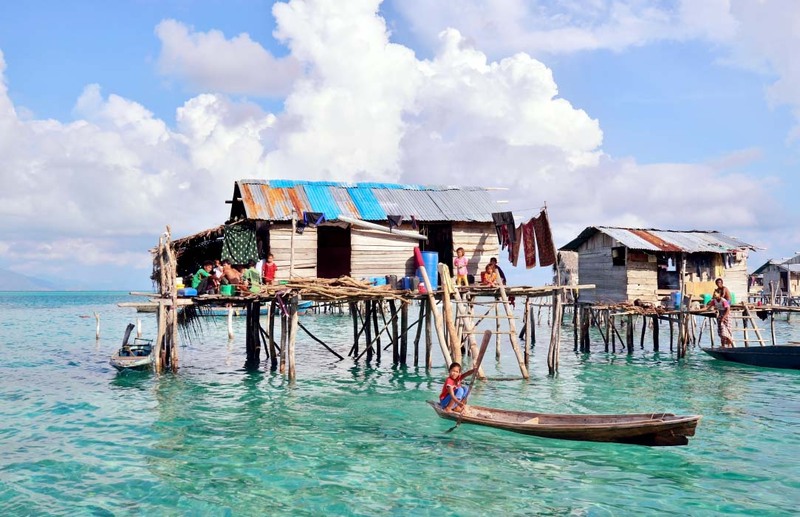 Visit Bajau Laut (Sea Gypsies) Villages - Visitors can experience the fascinating culture of the Bajau Laut people who live in floating villages on stilts, or on wooden boats called Lepa. Settlements can be seen around Bohey Dulang, Bodgaya, Mantabuan, Maiga and Sibuan Islands. Giant Clam & Marine Invertebrate Hatchery – In 2009, the Marine conservation society created a giant clam hatchery to breed and grow up to 7 different species of clams, although native to this part of the world, their numbers have dwindled due to overfishing both for the meat and the shells. 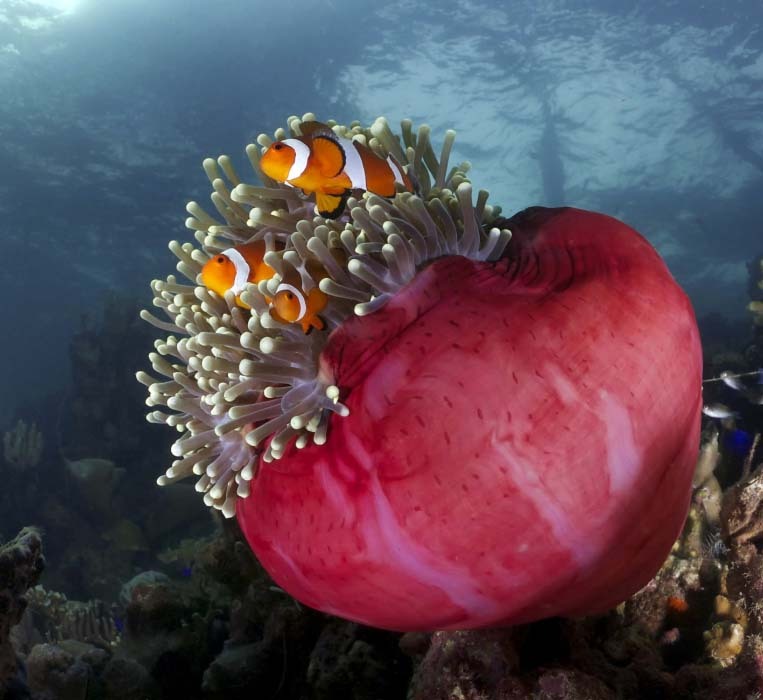 When fully matured, the clams will be distributed and placed on surrounding reefs. 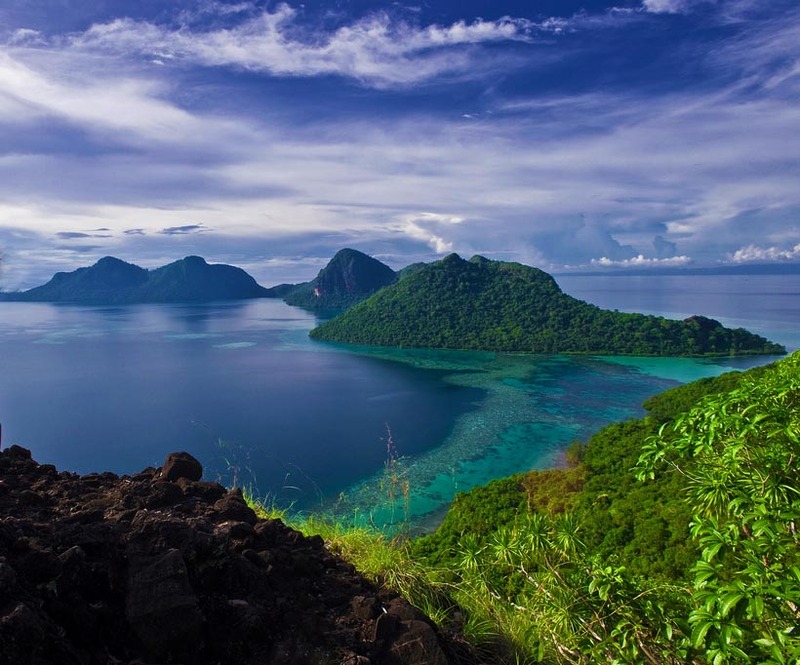 Hiking – The 353m high mountain on Bohey Dulang Island provides a fantastic jungle trekking and hiking excursion. Along with a myriad of birds, you can see otters, long-tailed macaque monkeys, Bearded pigs, and deer. The abundant forest is full of waterfalls, rock pools, beautiful flowers and rare plants, and as you near the peak, you’ll see the majestic and unforgettable views over the lagoon and nearby islands. Bird Watching – Once declared a bird sanctuary in 1933, Bohey Dulang Island is a nature and bird lover’s paradise. Home to many species of colourful and even rare birds, enthusiasts can spot pied hornbills, sea eagles, metallic pigeons, owls, fruit doves and partridges, as well as over 52 species of butterflies. Visitors wanting to explore the islands in Tun Sakaran Marine Park, as well as the more famous islands of Mabul, Pom Pom, Mataking, Kapalai and Sipadan Islands for diving, picnicking, snorkelling, swimming or hiking and exploring the jungle trails can easily choose one of several organised short visit and day trip speedboat packages from any dive operator in the coastal town of Semporna on Sabah Island. Semporna itself has a few dive operators and a choice of budget accommodation, or if you prefer, you can stay at a dive resort on one of the nearby outlying islands such as Mabul or Kapalai, which all also offer diving and island hopping packages, with most itineraries including a packed lunch, snorkelling/diving gear and multiple dives per day, depending on how many islands or dive sites you are visiting. We are the Sipadan Specialists and can help you to get a Permit to Sipadan.